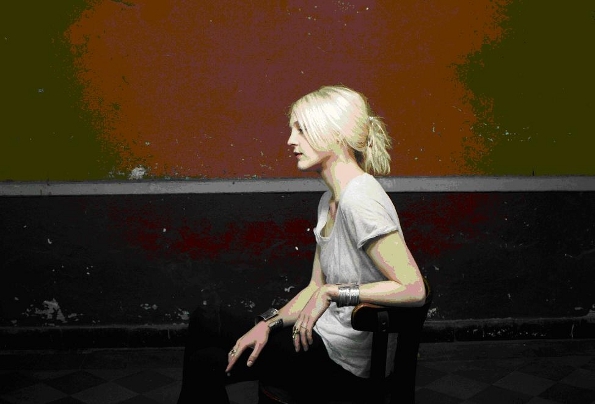 Laura Marling is on the phone from London where she is on a brief intermission between global travels in support of her 2011 release A Creature I Do Not Know. After a brief, obligatory attuning with each other’s climate particulars (the afternoon sun is starting to appear in London following “a rather miserable jubilee day yesterday,” I am watching a rainy morning through a Brooklyn café window) we get into a stimulating conversation about various details concerning how being a songwriter and touring musician fits with her devout faith in logic. I have heard Laura speak about her commitment to living according to logic, yet a great deal of her life is spent on the road. This prompts me to ask how she co-ordinates her logical disposition with the lifestyle of a rambling musician. This team allows Laura to circumvent the sticky floored clubs that comprise the touring circuits of many of her contemporaries. Laura’s upcoming US tour will see her take to the stage in some venerable theatres and church cathedrals [including Grace Cathedral in San Francisco on June 29th]. I ask Laura how she feels about songwriting being her chief vocation. Creativity delves into the unknown and creative output can’t really be logically traced. What’s more, it could even be said that a requirement that creativity is separate from logical formulation if it is to achieve its widest potential. This brings me to ask Laura how she comprehends song-writing as a component of her assured logical approach to life. Either way, Laura’s habitual personal reminder to utilize the human gift of thought is evident in her songs. Across the 22-years-old’s 3 full-length albums she curiously explores the ambiguities of human feeling; her lyrics alluringly depict conflicting values and widespread anomalies in human interactions. Thus, my grasping desires are pleased to hear her say, “I finished writing a new album about a month ago. At the moment I’m in and out of the studio (Real World Studios in Bath, UK) working with Ethan Johns (who produced both A Creature… & 2010’s I Speak Because I Can). How long will we have to wait to hear more of her ambivalent negotiation of logical insistence and unmediated creative thought?